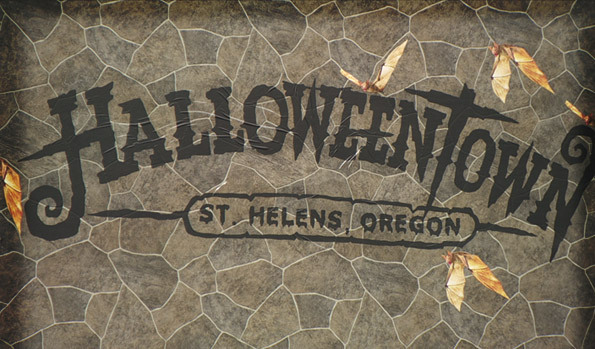 Disney’s Halloweentown truly exists in St Helens, Oregon. 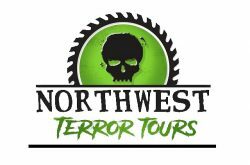 Each year, St Helens, Oregon transforms into the place that captured our imagination back in 1998 with a month long festival. October 1, the town becomes Halloweentown straight from the Halloween classic. 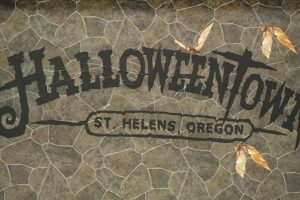 Most of the St Helens was featured in the Halloweentown films and the city of St Helens has embraced the fame. Come for the lighting of the giant pumpkin in front of city hall and all of the other festivities. In 2017, a tribute will be held for Debbie Reynolds who recently passed away. 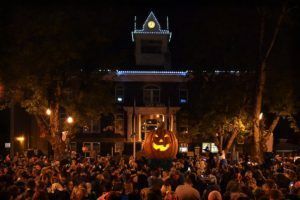 The Giant Pumpkin lighting in front of city hall. October 7th. Ride to Alien Landscape on the haunted head tractor ride. 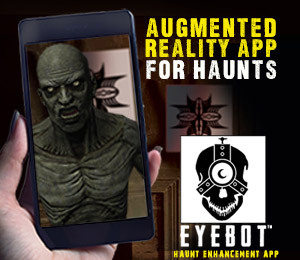 October 7 – 29 Saturday Sunday 10 – 5 p.m. This is Halloween: A Live Concert on October 8th from 3pm-5pm. Friday, October 13th is the Free Grab a Ghoul & Grab a Goth Adult Dance Party with a DJ and beer garden. October 14th is The Monster Dash. October 21 from 12-4pm is the Haunted Hotrod & Hearse Rally. 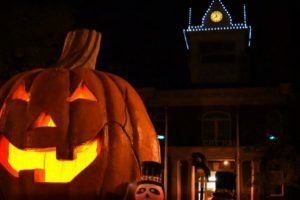 For a full list of Halloweentown activities click here.